We’re counting down the days until Christmas with a list of Traditions that you may or may not have heard of! For the fifth tradition, we’re hiding our brooms. 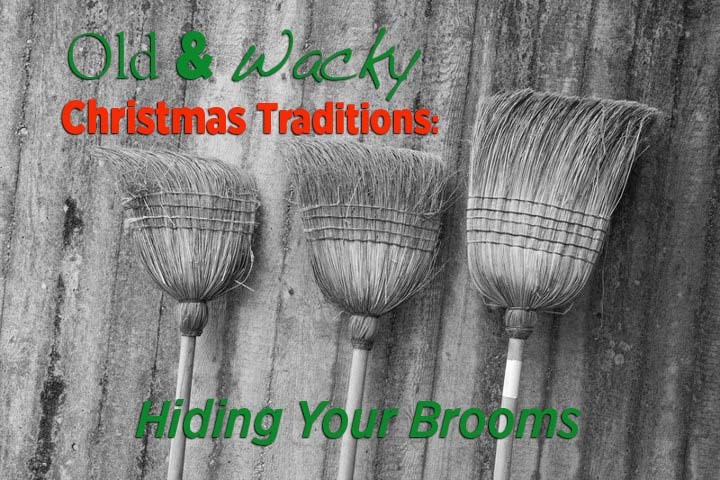 An old tradition from Norway is to hide your brooms on Christmas Eve. Why? It was (and may still be) believed that witches come out on Christmas eve to steal brooms to ride on. Yes, you read that correctly. Norwegians hide their brooms in fear of them being stolen by witches for riding. Dec 23 Old and wacky Christmas Traditions: Who's Olentzero?